The pictures were taken during the work research. 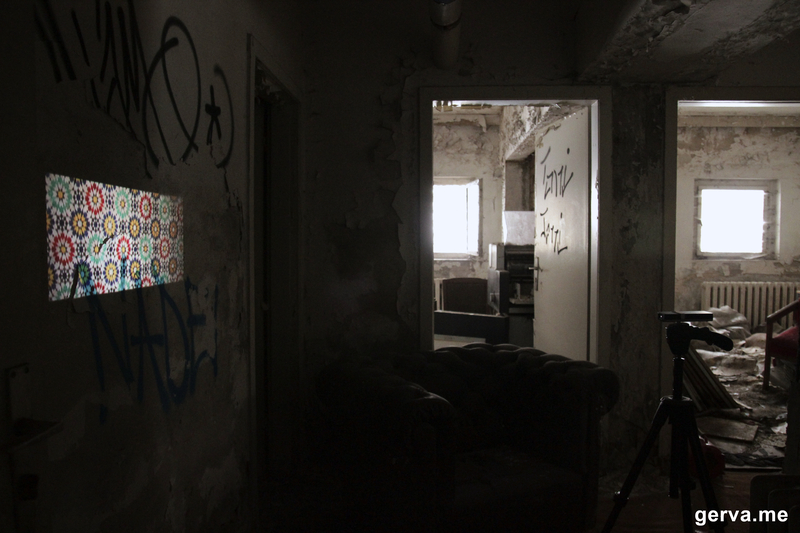 Abandonamento is a series of video interventions at abandoned places in the city of Berlin. The work was done during my residence at the Zentrum für Kunst und Urbanistik. The works is supported by the Ministério da Cultura do Brasil and part of the Program Deutschland+Brasilien 2013-2014. Using a pico video projector the screened images suggest situations that could be happening there nowadays. It is an attempt to inhabit those places once again. The work also seeks to bring back the sight on those places. Most of them are abandoned due the estate rush or political issues. 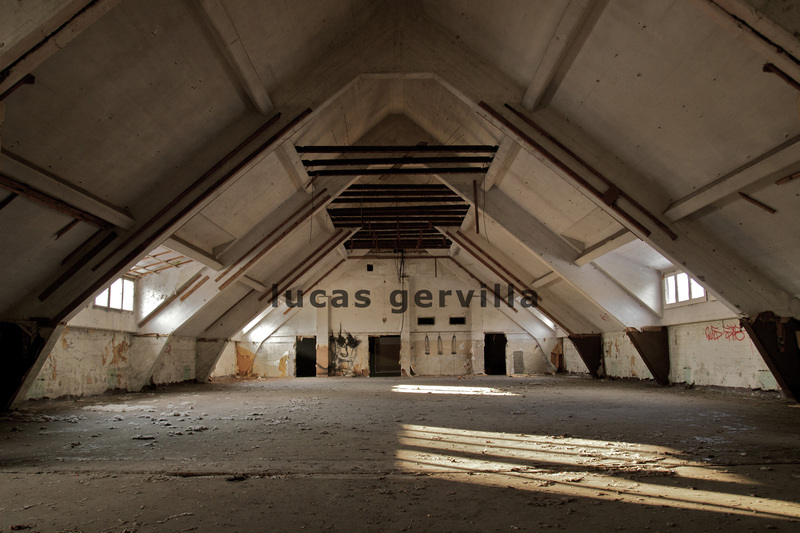 At the first moment I sought for abandoned places in the metropolitan area of Berlin. Then I visited some of those places to know more about them. After the visits I researched about the past of buildings and I started to create specific videos for each place. At the final stage I went back to those places to project the videos. 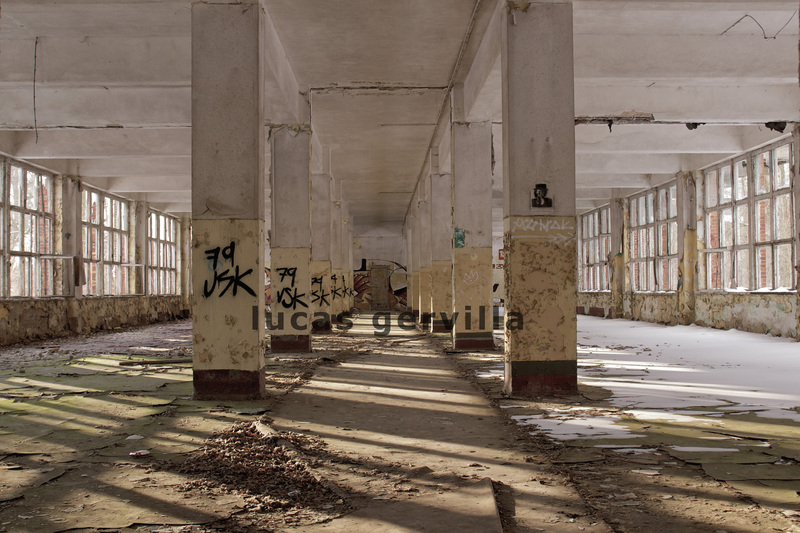 A deactivated train terminal. The screened video depicts everyday situations of a regular train station. 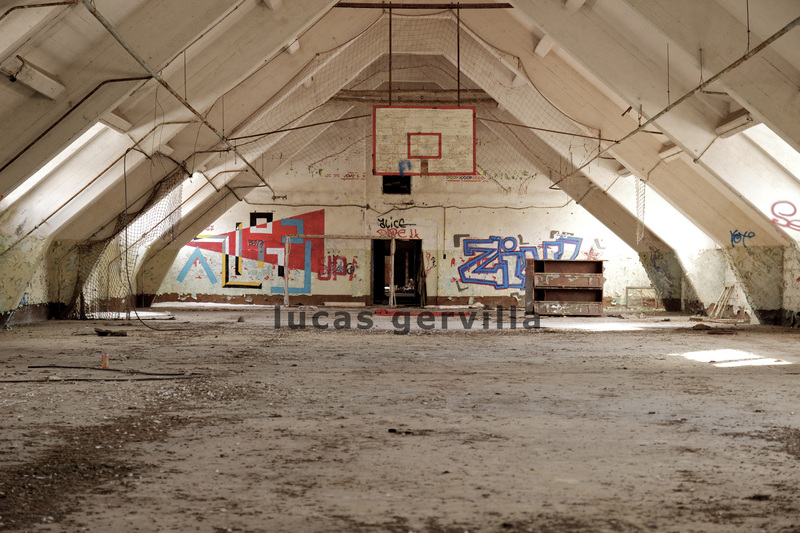 An old headquarters of the 90th Guards Tank Division of the Soviet Army in Bernau bei Berlin. After the end of the DDR all the Soviet troops left Germany back to Russia. They took all their equipment but their buildings are still there. The Soviet government always gave an especial importance to the sports and many athletes came from the army. So each building of the Panzer Kaserne has its own gymnasium on the top. I chose to create images for the gyms instead the other facilities of the HQ. Built in 1974 in the former East Berlin. In 1969 Iraq was the first non-socialist country to recognize East Germany as an independent country. So both countries always had good relations. But during the Gulf War (1990-1991) the Iraqi government decided to close in a hurry some embassies in Europe, including the one Berlin. To avoid the political context and to create a contrast with the ruined building, the images screened at the Iraqi Embassy illustrate some typical Arab mosaics. Built in 1896 by the Norddeutschen Eiswerke AG and active until 1995 the factory is still known as Berliner Eisfabrik. Over decades it was the biggest ice factory in Germany. 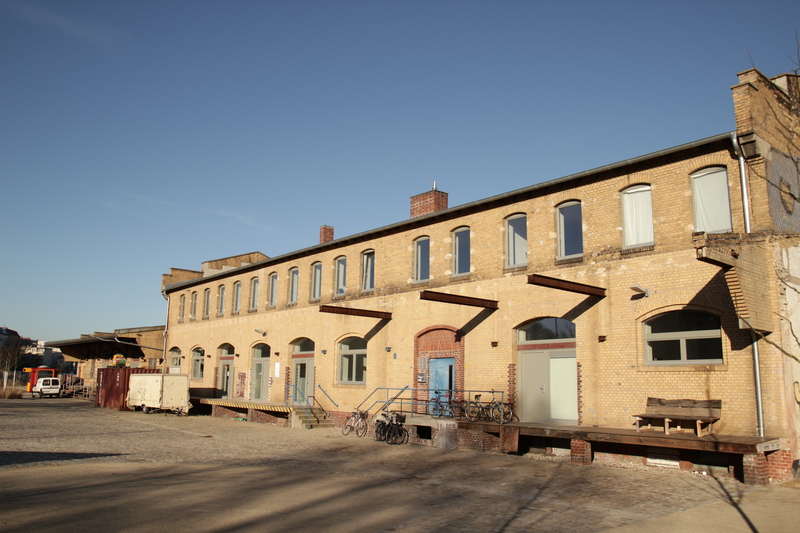 With the modernization of the domestic freezers the Berliner Eisfabrik’s production started to decrease and leaded the factory to close its doors. As the building is located right in middle of the city the construction companies are fighting each other to buy the area. 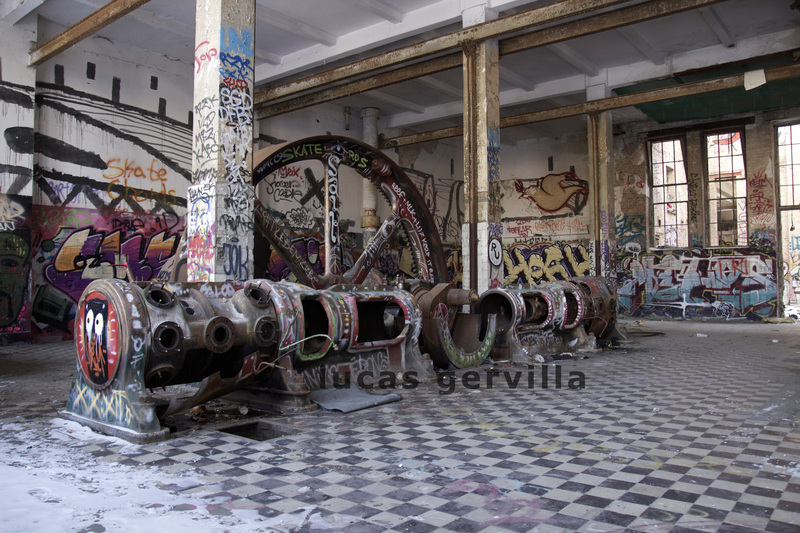 Nevertheless the municipality of Berlin is still studying what to do with the area and the building. 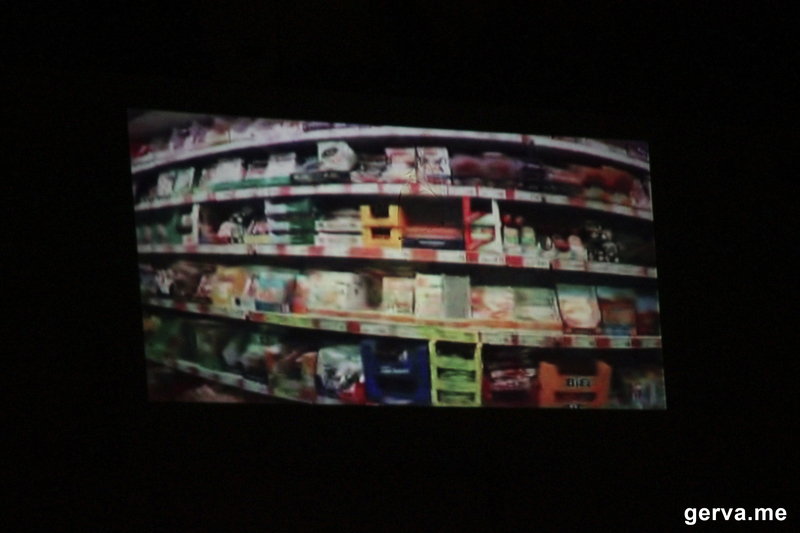 The projections on the walls of the Berliner Eisfabrik are made by images of dairy, meet and cold food, an allusion to the use of ice to preserve perishable foods. 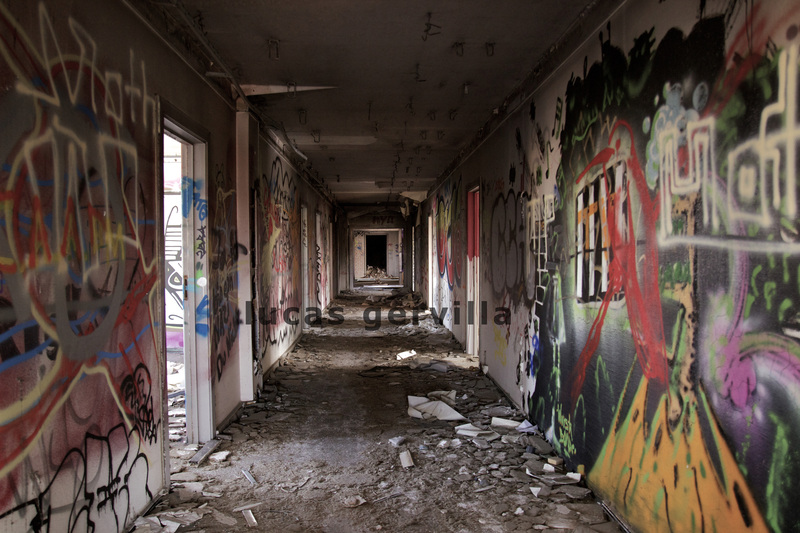 _Abandonamento é uma série de pequenas vídeo intervenções realizadas em lugares abandonados na cidade de Berlin. Esse trabalho foi realizado durante minha residência no Zentrum für Kunst und Urbanistik. O trabalho é apoiado pelo Ministério da Cultura do Brasil e pelo Programa Alemanha+Brasil 2013-2104. Usando um projetor portátil, as imagens projetadas sugerem situações que poderiam estar se passando nesses lugares nos dias de hoje. Uma tentativa de reabitá-los por alguns instantes. O trabalho também procurar trazer um novo olhar sobre esses lugares. A maioria deles abandonados devido a especulação imobiliária e questões políticas. Na primeira etapa procurei por lugares abandonados na região metropolitana de Berlin. Em seguida, visitei alguns desses locais para conhecê-los melhor. Depois pesquisei a respeito de seus passados e comecei a desenvolver vídeos específicos para cada um deles. Por fim voltei a esses lugares para realizar as projeções. 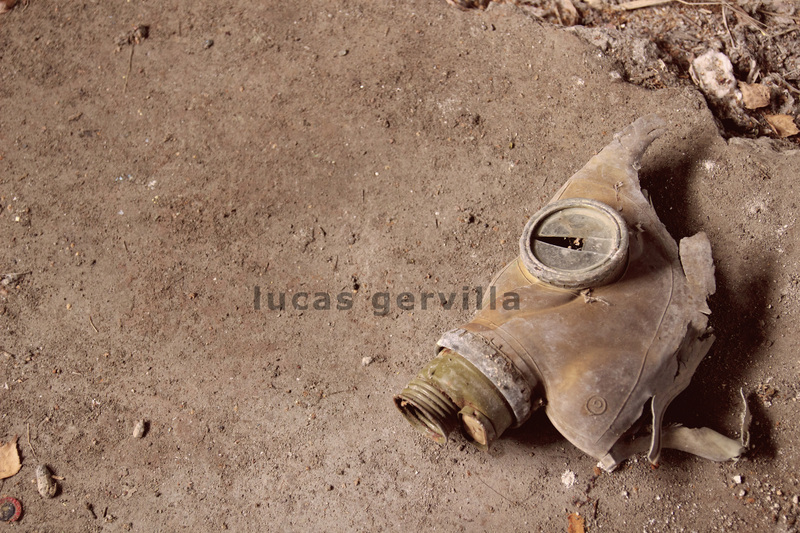 Trata-se de um terminal de trem abandonado. O vídeo exibido retrata situações cotidianas de uma estação de trem convencional. O governo soviético sempre deu uma importância especial para os esportes e muitos atletas de destaque vieram do exército. Portanto para promover a prática esportiva, cada prédio do quartel possui seu próprio ginásio. Optei por trabalhar com esse contexto esportivo ao invés do militar. Construída em 1974 na antiga Berlim Oriental. Em 1969 o Iraque foi o primeiro país não socialista a reconhecer a Alemanha Oriental como um país independente. Isso contribuiu para que os dois países sempre tivessem boas relações diplomáticas. Porém, durante a Guerra do Golfo (1990-1991), o Iraque decidiu fechar algumas embaixadas na Europa, incluindo a de Berlim. Para evitar o contexto político e também para contrastar com o prédio arruínado, resolvi projetar imagens de típicos mosáicos árabes. Construída em 1896 pela empresa Norddeutschen Eiswerke AG e em atividade até 1995, a fábrica é conhecida até hoje como Berliner Eisfabrik. Durante décadas ela foi a maior fábrica de gelo da Alemanha. Com a modernização dos freezers domésticos a produção da fábrica começou a declinar, forçando o fechamento das portas em 1995. Porém o prédio da fábrica é localizado bem no centro da cidade, o que tem levado as construtoras a travarem uma guerra entre si pela compra do terreno. Contudo a prefeitura de Berlin ainda está estudando o que fazer com o prédio e com a área. 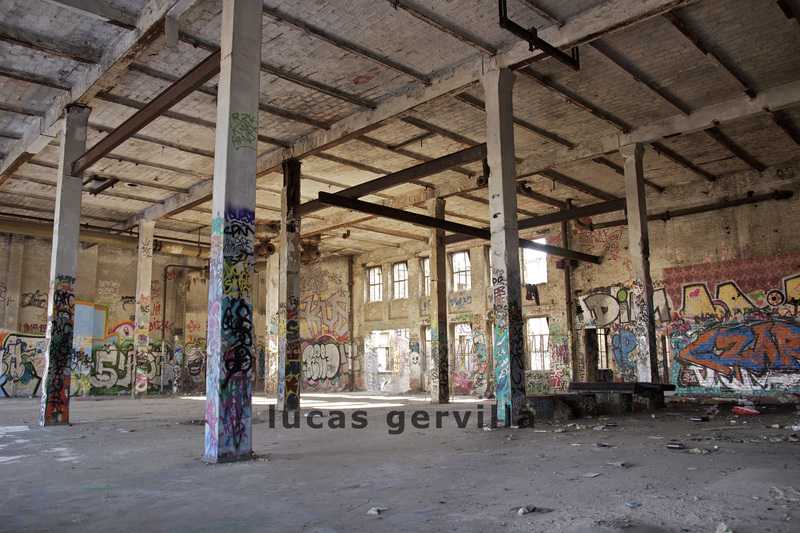 As imagens projetas nas paredes da Berliner Eisfabrik mostram latícinios, carne e comida congelada. Durante os meses março e abril estou realizando uma residência artística no Zentrum für Kunst und Urbanistik Berlin. O objetivo da residência é desenvolver trabalhos que explorem a relação entre arte e urbanismo. A residência é patrocinada pelo Ministério da Cultural, através do Programa de Intercâmbio e Difusão Cultural. 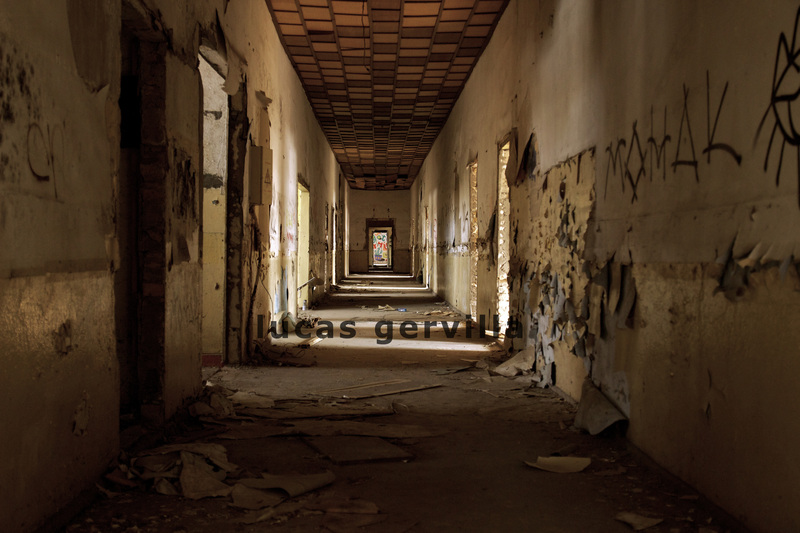 During the months of March and April Im in an artistic residency at the Zentrum für Kunst und Urbanistik Berlin. 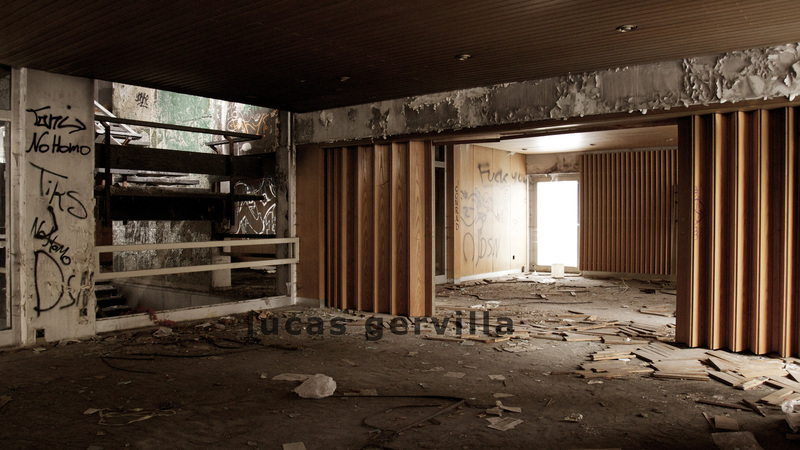 The purpose of the residency is to develop works related to arts and urbanism. The residency is supported by the Brazilian Arts Department.